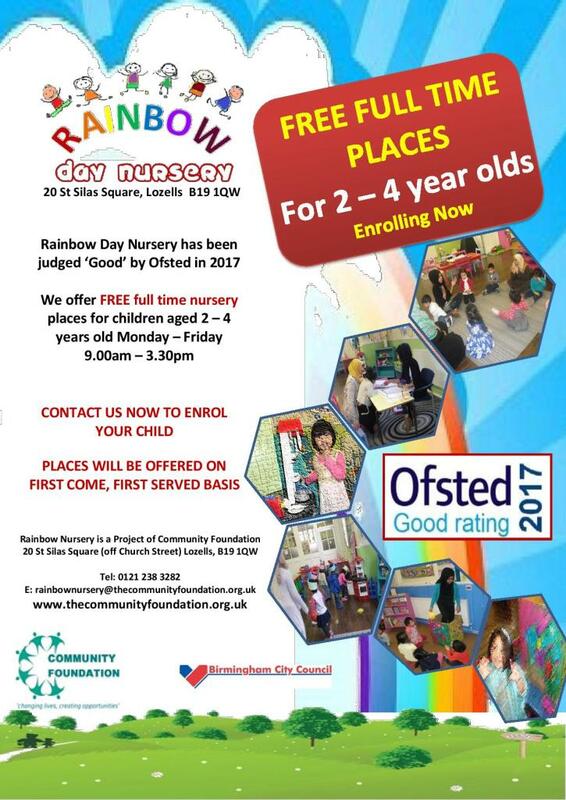 Rainbow Day Nursery Rainbow Day Nursery was judged by Ofsted in February 2017 as a 'GOOD' early years provision. We want every child that spends time with us to be prepared to go to school with enthusiasm to learn and develop their knowledge and skills with confidence. 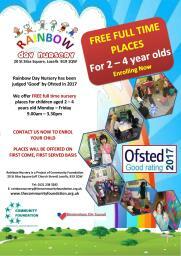 Rainbow Day Nursery aims to provide a friendly, comfortable and safe environment which children will find stimulating and challenging, and where enjoyment and fun are linked with discovery and learning. We have three large spacious halls where children take part in learning and have fun throughout their daily activities. In addition to EYFS requirements, we also teach French to pre-school children to enhance their language skills. Rainbow Day nursery has a strong ethos that children need to see the outside world and have an understanding of the outside world. In order to ensure children's individual needs are met we take them on outings we also take children to our local park once or twice every week depending on the weather. We have an outdoor play area with a large playhouse and activity climbing frame with slides. Rainbow Day Nursery has capacity for 50 children. We are open term time only and offer full time and morning/afternoon session from 9am - 12pm and 12.30pm - 3.30pm. We also offer discounted rates starting from £100 per week for a full time place.